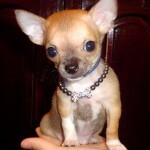 It is not unusual for people to have problems, particularly with puppies whining all day long. Most puppies will outgrow this behavior. They generally whine for two reasons. For attention and when they are anxious. As dogs get older, they are conditioned to whine when feeling discomfort or distress. For example, if a puppy feels it is being left behind its pack, the puppy whines. The whine, like a howl, is a call of distress for the rest of the pack to rejoin or rescue it. This is another form of separation anxiety. This is no different when a dog leaves its old pack and joins your family. Your new dog will try to communicate with you in the same way. How you and your family react to your dogs whining is the key. You choose to either reinforce or discourage this behavior. If they want attention, they will continue to whine if that attention attracts a reward. Often the best solution is to ignore the dog completely until the whining stops no matter how long it might take. When the dog realizes that it is not getting the reward it expects from whining it will tend to stop. However don’t neglect your dog. Make sure to pay attention to your dog when it is behaving. 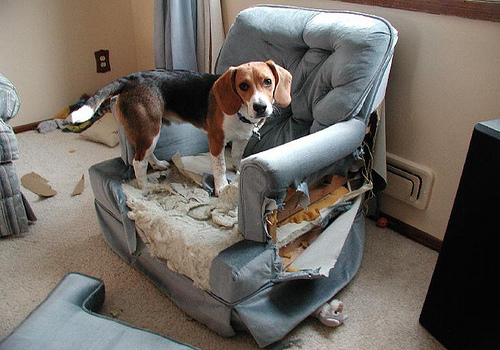 This reinforces good behavior and let’s your dog know there’s no reason for this behavior. Over the years I have witnessed the great debate over “breed vs. deed” when it comes to labeling dogs. Working in the animal control field for many years I have come to call this situation “breed profiling”. This is to ask the question about labeling a breed of dog as “bad dogs’ or dogs to be feared. I first began my animal service career back in the early 80’s so I have seen my share of attacks from dogs on humans and other animals. I still cannot say one breed is worse or better than another. I will say that any dog can be ruined by the person that owns the dog and yes some dogs require more socialization than other breeds and if not properly socialized, will have a higher tenancy for aggressive behavior. Each generation picks a dog to be feared, some lasting longer than others. Pit Bull terriers and similar breeds are always on top of the list because of the popularity as fighting dogs. However there are many other breeds that have also been labeled over the years including the Chow Chow, Doberman, Rottweiler, Dalmatian and Malamute just to name a few. Small dogs bite just as many people a year as large breeds, probably more. However, many of these bites are not reported. Small dog equal small teeth. Many times the damage inflicted when a small dog bites is not as severe. 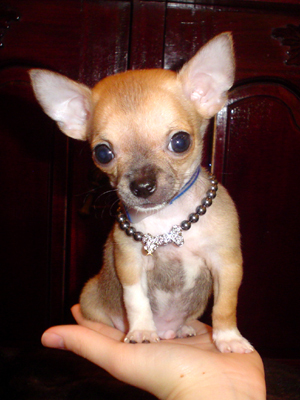 Plus a man would look silly if he reported being attacked by a Chihuahua now, wouldn’t he? Now we have a new group to be feared including Presa Canario, Boerboel, Cane Corso and Caucasian Shepherd (Russian Kavkaskaya Ovcharka). Not all these breeds have become popular but if they do, they will be the new feared dogs of the future. Unfortunately Pit Bulls will still be high on the list as well. In animal services when writing a report one of the most important things to factor in is whether the incident was “provoked” or “not provoked”. 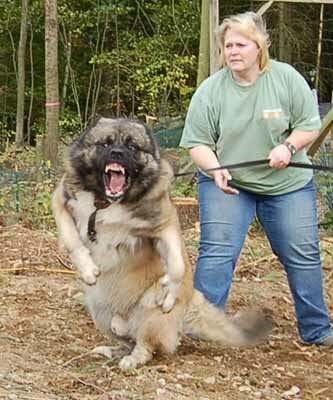 Most dog attacks are avoidable. If you know anything about dogs, it is rare for a dog to attack without reason. It may not be a reason we as humans always understand, but dogs do not think the same way as humans. Most if not all dog bites are found to be unprovoked if you look through the eyes of a dog. 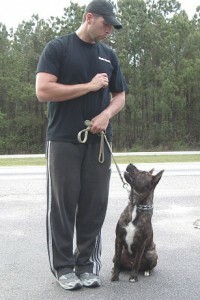 To say most dog bites are not provoked is to say we as trainers, behaviorists and people that understand the nature of a dog understands the reasons a dog will bite. Unfortunately some people do not. Separation anxiety, also known in the dog training world as owner absent misbehavior, is one of the most frequently encountered problems in the world of dog training. Separation anxiety can manifest itself in many different ways, including chewing, destroying the owner’s property, excessive barking, self-destructive behavior and inappropriate urination and defecation. Dogs suffering from separation anxiety often whine, bark, cry, howl, dig, chew and scratch at the door the entire time their family members are away. Well meaning owners often unwittingly encourage this misbehavior by rushing home to reassure the dog, but it is important for the well-being of both dog and owner that the he learn to deal with extended periods of separation. There are a few basic commands that need to be mastered and they are all relatively simple. This is where you teach your dog to lay down on command, and is one of the main aspects of any successful training program. Trust me, you will use this command. I use it all the time on my own dogs. This is where you teach your dog walk beside you at the same pace without pulling on the lead. A dog should never pull on the lead. Besides being what I call “rude”, it’s letting the dog take lead you and not the other way around. It doesn’t have to be a perfect heal if you are not competing with your dog, but your dog should not pull on the lead. Period. You should be the one under control of where you go with your dog. Sit is one of the most basic of all dog training commands and is one that you’ll want to teach from the outset to maintain control of your dog’s behavior. For new puppy owners, this is a basic command that you can start with treats from day one. It’s a good way to start imprinting on your dog what a basic command is all about. This is important to ensure that no matter where you are you’ll know that your dog will stay precisely where you want it. I never call my dog from a stay; I always return to them. This teaches them not to anticipate moving when I am not near them. Another command I really use is called “wait” which means simply, wait. I use this command for going in a door first, or waiting to load in to the car. Say you are on a hike with your dog and he gets too far ahead. It’s nice to be able to tell your dog “wait” to let you get within range so you don’t lose sight. Another thing your dog must learn is to stop an action. Whether you use the word “no” or another distraction sound, your dog must learn that when you tell them to stop doing something they stop. The important thing on this is to teach them that they get praised for stopping an unwanted behavior instead of being punished for doing the unwanted behavior. What’s the most important command you will teach your dog? Posted by Kristine Berg | Filed under Who Knew? A dog’s pregnancy is 61-63 days. A dog’s smell is estimated at 1 million times better than humans. Dogs are responsible for most drug busts. A dog’s heartbeat is 70-120 times per minute. The average dog has 42 permanent teeth. A 50,000 year old cave painting in Europe seems to show a dog-like animal hunting with men. 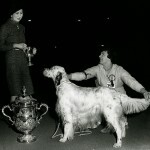 The first dog show in the US was in Detroit, Michigan in 1857. 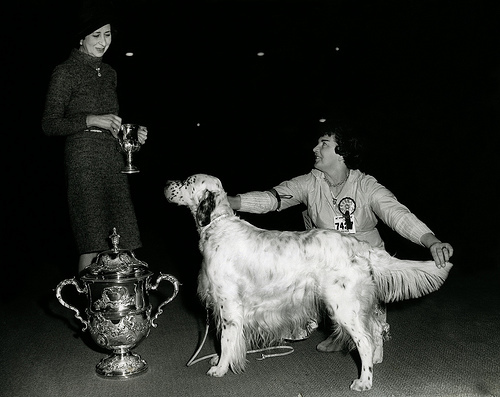 The World’s first dog show took place in Great Britain in 1859. 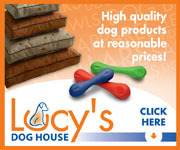 Twenty five percent of dogs that enter local shelters are purebred. The average number of litters a fertile dog produces is one a year; the average number of puppies in litters is between four and six. About 75 million dogs are owned in the United States. A dog, named Laika, was the first in space in 1957. Dogs are mentioned 14 times in the Bible, but domestic cats are not mentioned at all. Here we go. These breeds are ranked as the smartest dogs. However with over 33 years of training dogs I think another list must also be published. 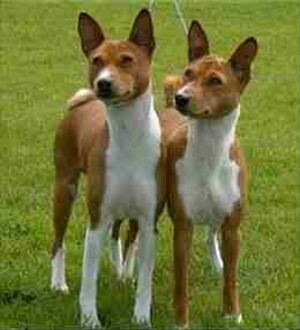 We have smart dogs but these dogs do not match the list of dogs “easiest to train”. This list will be coming later and you will be surprised. This article looks at the top five dogs based on intelligence. 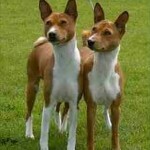 I have created these pictures as thumbnails so you can enlarge for a better look at these beautiful dogs. While we would all like to think we have the smartest dog in the world there are some breeds that are generally more intelligent than others. In this article we will look at the dogs ranking from tenth most intelligent to sixth. And then in the next newsletter we will look at the most intelligent dogs in the world. Don’t be too concerned if your dog doesn’t appear in either of these lists, as sometimes it is not always an advantage to have an intelligent dog. As expected, the more intelligent dogs generally need more stimulation or they will get bored and this can cause problems, particularly if they are left at home during the day when you’re at work. It is certainly a lot more fun to own a dog that is obedient and trained. I always tell clients the happiest dogs in the world are dogs that have jobs. Trained dogs are happier dogs. They are less likely to get into fights with other dogs and will tend to socialize better with dogs that they meet in public. 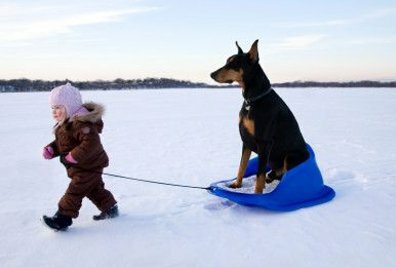 It is particularly important to have a well-trained dog if you have young members of the family or children in the neighborhood. Just like having well-behaved children, a well-trained dog makes for a happier household. The time that you spend training your puppy initially will impact on the pleasure you can get from your dog for the many years of its life. Taking the time to train your dog will strengthen the bond you have together and this will ensure a long and happy relationship where both you and your dog benefit. Considering the amount of time that you will be with your dog the time involved in training is minimal and well worthwhile. I always tell new puppy owners that if they will devote the first year of their dogs life to training and socializing, do whatever they have to do to put in the time it takes to accomplish this, they will be rewarded for the life of the dog. Small sacrifice considering the dog may live ten to thirteen more years. Don’t you agree? To stay fit and healthy and happy and strong, a dog needs exercise and good food just as humans do. They’re an important part of our families, and they rely on us understanding their needs, as they cannot talk to us. Fortunately, dogs are a bit more resilient than humans but they still do need regular exercise and good food. One of the benefits of owning a dog is the fact that in many cases, knowing that they need exercise is a good reason for us to get out and exercise as well. So you could say that owning a dog actually keeps humans healthier. There are many benefits that can be gained from owning a dog but you only get as much out of them as you put into them. Good training, good shelter, good food, fresh water, regular exercise and a happy home are all that a dog needs to be content. Just as the wrong foods can be very detrimental to the health of humans, the same goes for the health of dogs. I find it interesting that some of my clients that are so concerned about their own health are not as concerned with the dog they love. I often hear the excuse “my dog is over weight because she is spayed”. No this is not an excuse. 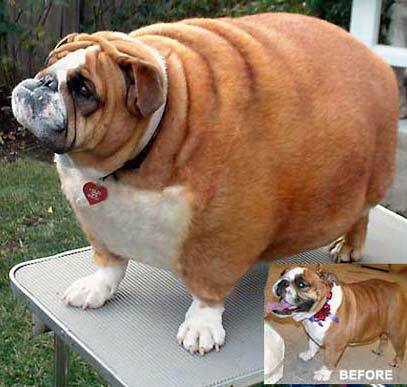 We are responsible for what goes in our dogs mouth and a responsible owner keeps their dog from getting fat. 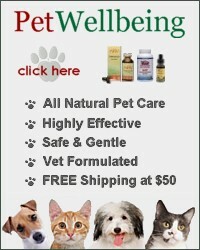 Stay healthy and keep your pet healthy. You will both benefit in the long run. That’s right, I am told by people all the time that I “live” my dogs. Well I do. They are my business, my entertainment and my joy. I can’t think of a healthier addiction. This site is being designed for people who feel the same way about their fetish, the dog. There is no incongruity in the idea that in the very earliest period of man’s habitation of this world he made a friend and companion of some sort of aboriginal representative of our modern dog, and that in return for its aid in protecting him from wilder animals, and in guarding his sheep and goats, he gave it a share of his food, a corner in his dwelling, and grew to trust it and care for it. Probably the animal was originally little else than an unusually gentle jackal, or an ailing wolf driven by its companions from the wild marauding pack to seek shelter in alien surroundings. One can well conceive the possibility of the partnership beginning in the circumstance of some helpless whelps being brought home by the early hunters to be tended and reared by the women and children. Dogs introduced into the home as playthings for the children would grow to regard themselves, and be regarded, as members of the family. In nearly all parts of the world traces of an indigenous dog family are found, the only exceptions being the West Indian Islands, Madagascar, the eastern islands of the Malayan Archipelago, New Zealand, and the Polynesian Islands, where there is no sign that any dog, wolf, or fox has existed as a true aboriginal animal. In the ancient Oriental lands, and generally among the early Mongolians, the dog remained savage and neglected for centuries, prowling in packs, gaunt and wolf-like, as it prowls today through the streets and under the walls of every Eastern city. No attempt was made to allure it into human companionship or to improve it into docility. It is not until we come to examine the records of the higher civilizations of Assyria and Egypt that we discover any distinct varieties of canine form.